Star Wars Celebration is the ultimate fan experience focused on the galaxy far, far away, and Entertainment Earth is where you'll find the newest and hottest toys and collectibles to make the celebration truly out of this world. 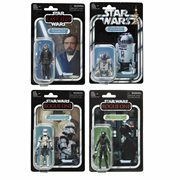 Look below for special items from Hasbro and check here daily for new additions! Are you attending Star Wars Celebration? Come together with fellow fans from all over the planet April 11-15, 2019, at McCormick Place in Chicago, IL. 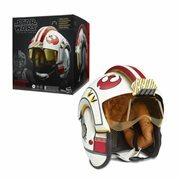 Commemorate the vast history of the Star Wars universe and join in the excitement surrounding new and upcoming movies, television shows, books, and comics. 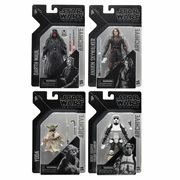 Star Wars Celebration has something for every Star Wars fan! Don't miss this once-in-a-lifetime experience where memories are made, families come together, old friends are reunited, and new friendships are forged… all in the setting of the ever-evolving and expanding Star Wars universe! Your days will be filled with major announcements, immersive exhibits, an interactive show floor, screenings, exclusive merchandise, celebrity guests, panels, autograph sessions, fan-inspired activities, costumes, and other surprises celebrating all things Star Wars. Be there! 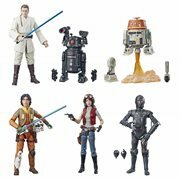 Celebrate Star Wars with Hasbro and Entertainment Earth!